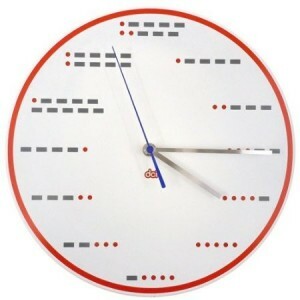 With this clock, from DCI, you can read the time in Morse code. Not a bad deal at $27 US on Amazon.com. This entry was posted in Funny, Product Announcements and tagged CW, CW Clock, Morse Code, Morse Code Clock. Bookmark the permalink. 1 Response to It’s CW time! Hi there, always i used to check weblog posts here in the early hours in the break of day, for the reason that i like to learn more and more.